Mosul (AsiaNews) - The Chaldean archbishop of Mosul is dead. Archbishop Faraj Rahho was kidnapped last February 29 after the Stations of the Cross. His kidnappers gave word of his death, indicating to the mediators where they could recover the body of the 67-year-old prelate. "It is a heavy Cross for our Church, ahead of Easter", Bishop Rabban of Arbil tells AsiaNews in response to the news. 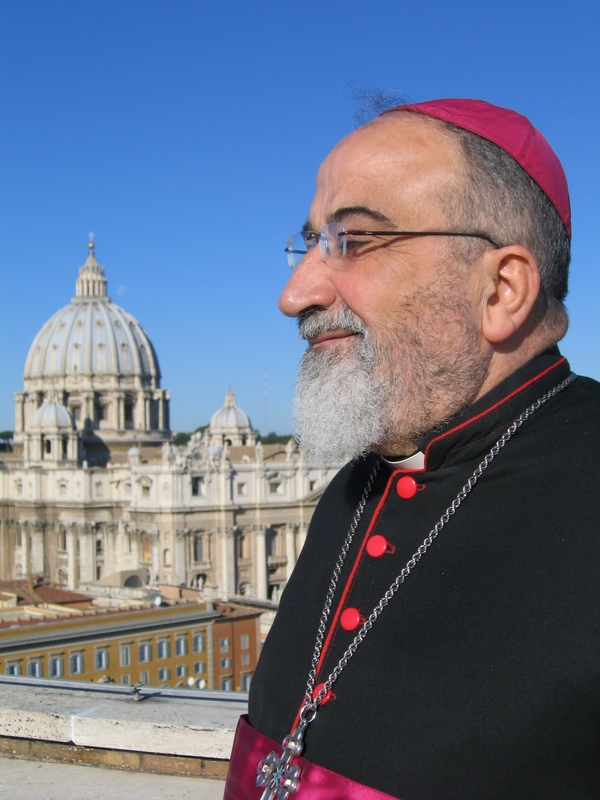 Leaders of the Chaldean Church, including Bishop Shlemon Warduni, brought the body to the hospital in Mosul to ascertain the causes, still unknown, of the archbishop's death. The funeral will be held tomorrow in the nearby city of Karamles. Archbishop Rahho will be buried near Fr Ragheed, his priest and secretary killed by a terrorist brigade on June 3, 2007, while leaving the church after celebrating Mass. Pope, the killing of Archbishop Rahho is "an act of inhuman violence"
Pope: enough with the massacres, enough with the violence, enough with hatred in Iraq!